Clara represents public and private sector clients in a broad range of land use and real property matters. She regularly advises clients in matters arising under the Growth Management Act, the Shoreline Management Act, the State Environmental Policy Act, as well as other federal, state, and local laws. She also has extensive litigation experience and has appeared on behalf of clients in state and federal court and in administrative agency proceedings. 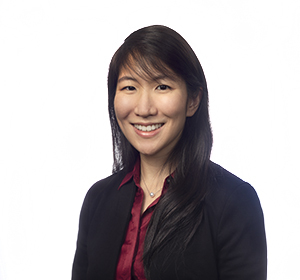 Clara previously worked at a mid-sized law firm in Honolulu, Hawaii, where her practice focused on land use and commercial litigation. Before entering private practice, Clara served as a judicial law clerk to the Honorable Daniel R. Foley of the Hawaii Intermediate Court of Appeals, where she assisted in drafting opinions.